I love shopping but I also love a good deal. I scour the internet for the best deals, search for coupons, and make sure that I’m getting the most for my buck! So I’ve been wanting to share this with you for a while now because it’s too good not to. 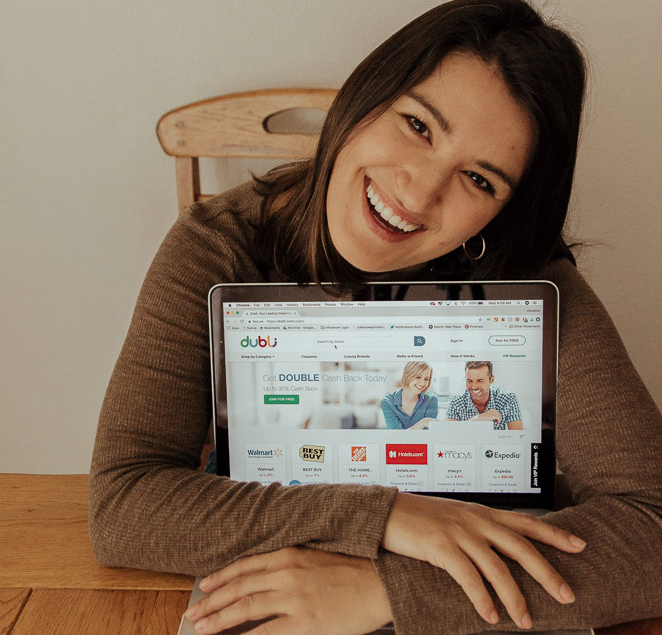 What I’m about to introduce you to is a new (to me) Cash Back Site that I’ve been using to earn up to 30% back on my online purchases. Cash Back Sites are my jam because why not? That’s extra money that gets put back into my pocket on purchases I was going to make regardless. Dubli has a variety of more than 12,000 shops globally. I mostly shop for home, fashion, and travel online but their categories also cover electronics, food, and so much more. So how do you sign up? Well, it’s super easy. Dubli is free to join (sign up here) and even easier to start getting Cash Back. They even offer a browser extension so that you’ll never miss out on cash back from your favorite sites. Some of my favorite sites to shop from Dubli are Hotels.com, Expedia, Home Depot, Target and Macy’s to name a few. I have an upcoming trip to Key West, FL which is already going to be spendy but I’m saving so much money on purchases to save up for this trip and I’ll also be earning money back on my hotel, flights, and vacation outfits just by using Dubli. Have you heard of Dubli? Let me know in the comments below some of your money-saving secrets!